Celebrate your commitment to the planet with your friends and family, the Sunway Lagoon way! 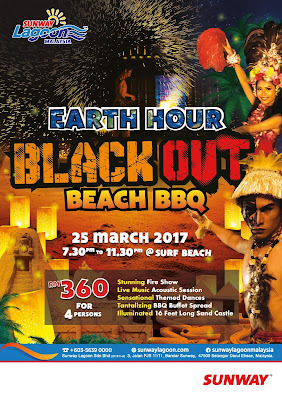 Sunway Lagoon is celebrating Earth Hour this 25th March (Saturday) with a Blackout Beach BBQ. Enjoy the beach styled merriment without even leaving the city. The fun and excitement starts at 7.30pm. Awaits them are a variety of tantalising BBQ buffet spread, from fresh salads to grilled juicy burgers, lambs and seafood skewers. On the cards are live music session, stunning fire poi spinning and sensational themed dance performances under the moonlight and more, all in the presence of an illuminated 16-feet long sand castle. 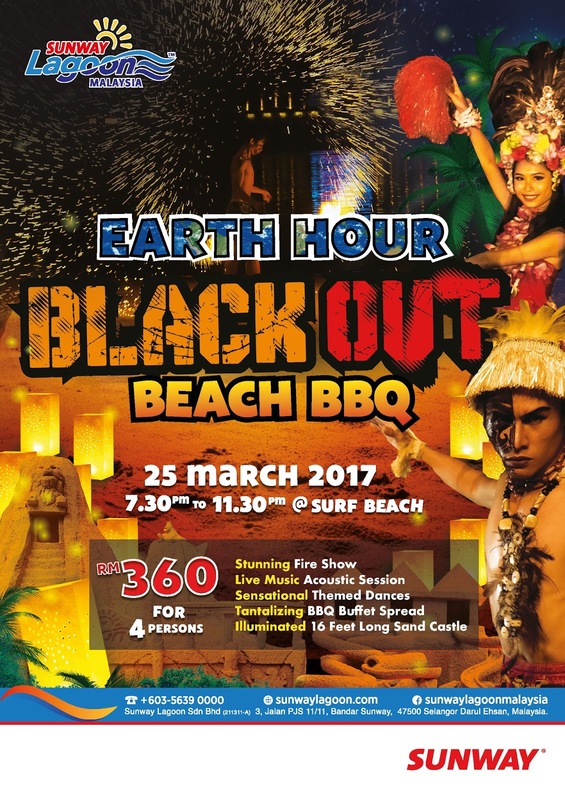 The Blackout Beach BBQ comes in a package for a group of four (4) and is priced at RM360. Only limited seats available, so hurry and get your tickets for an unforgettable experience! For more information, visit www.sunwaylagoon.com or call 603 5639 0000. Keen to celebrate Earth Hour. Just won't be anywhere near Sunway Lagoon then, unfortunately. Interesting event to attend. Will check this out.